Sports equipment may be checked out at the Welcome Desk with your Marshall ID or MU Keytag. Equipment includes: basketballs, volleyballs, soccer balls, table tennis paddles, tennis racquets, badminton racquets, and racquetball racquets. 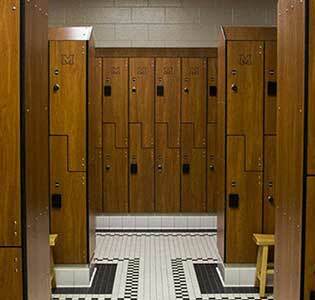 Campus Recreation offers Day-Use Lockers, Rental Lockers, a Gender Neutral/Family Locker Room, and Towel Service to all patrons who wish to add the service to their membership. We offer Parking Passes on behalf of the Marshall University Parking Office. The passes are available to non-student and non-faculty/staff members, as well as Medical School students who are in their second year of Med School and beyond.